A variety of other activities are also available in our region that may compliment your hunting experience. 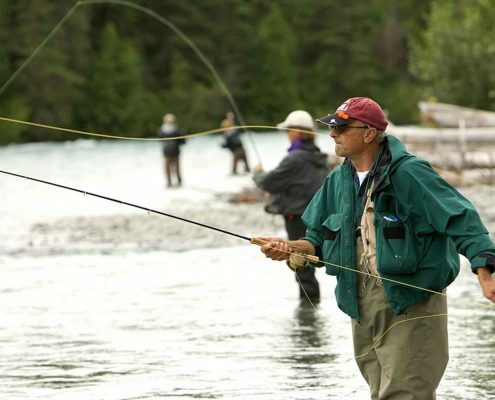 Trout fishing is another favourite of many sportsmen when visiting New Zealand. Waipari is within minutes of many famous Trout fishing spots, including Lake Taupo by boat and fly fishing on the Tongariro River, Turangi. Prices quoted upon request. Bird watching is becoming an increased request for our visitors. In the Waipari forest you can guarantee to see New Zealands finest selection of native and specialist birds. The forest is home to our native Tui, Kereru, Kiwi, long tailed cuckoo, fantail, NZ Falcon, Tomtit, Bellbird and many other locals. At our rivers we will often seen New Zealands native Blue Duck, in pairs – as Waipari provides a special place for them to breed. We have excellent areas for night time spotlighting of rabbits and hares. During the season we offer excellent duck shooting, Canadian geese, Grey duck, mallard duck and our own native Paradise Shell Duck. Season for bird shooting begins the first weekend in May and ends June/July. 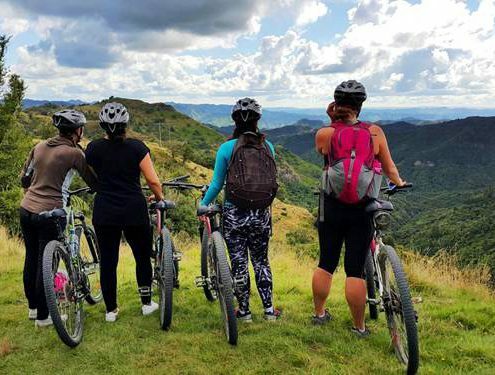 For friends and family that do not want to join the hunting experience there are opportunities for them to spend their time at Waipari trout fishing, tramping, bird watching, mountain biking and swimming. We are happy to quote you on a tailored package to suit your travel arrangements or time available.